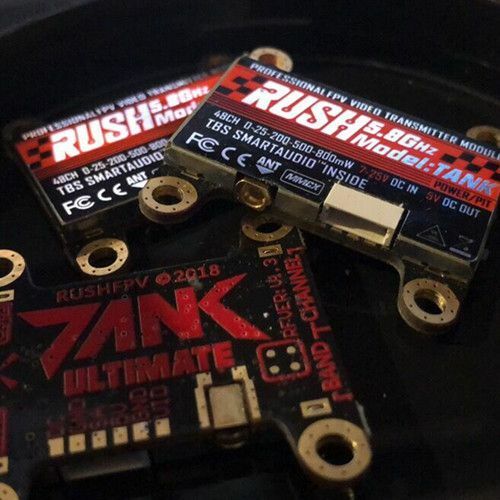 The RUSH Tank is a high-quality 5.8GHz VTX with strong anti-interference ability and stable transmission. 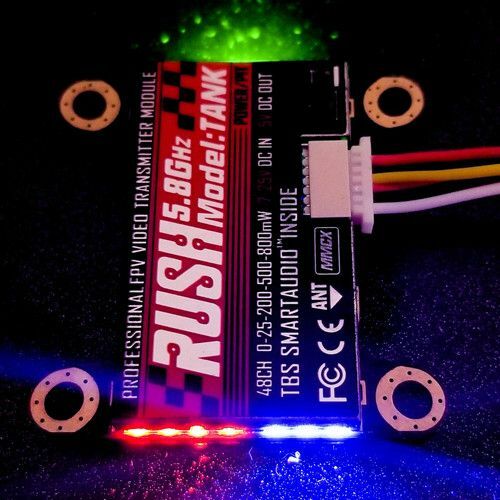 The TANK has four adjustable levels of transmitting power. They are PIT/25/200/500/800mW respectively. 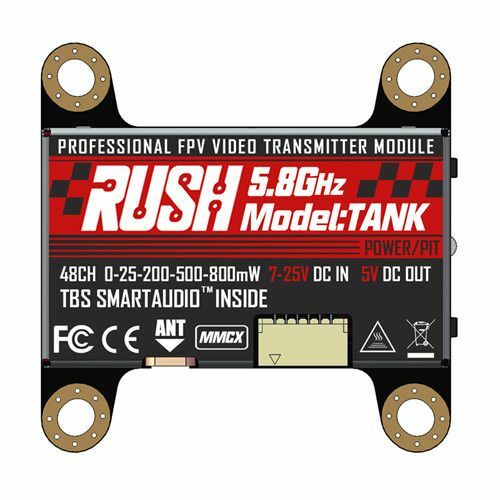 This VTX has built-in Smart Audio protocol authorized by TBS. 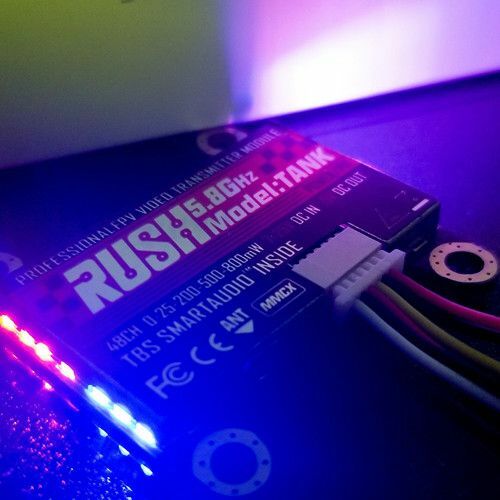 This can be set with RGB LED's by conventional double buttons, which can then access Smart Audio to set up and view the VTX information via the OSD menu. 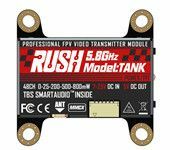 Mounting hole distance of 30.5*30.5mm makes convenient stacking with your other electronics.